Nearly bought a new house but they wanted exchange of contracts in 4 weeks before house was built, I would not agree to exchange until I surveyed property on completion. 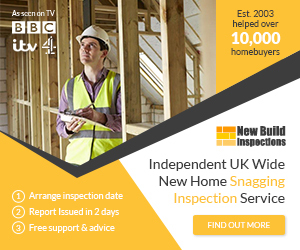 I also wanted an independent surveyor to independently scrutinise the build at each stage to ensure build standards and materials are all good quality. Guess what, they would not agree to this. New house builds clearly have something to hide so goodby to any new house especially after reading forums relating to poor workmanship and sub standard materials. How this company get a 5 star award is beyond me. The build quality is poor and the site managers just don’t give a hoot. The customer service office appear to have no power to put the pressure the site team. They say the site here at Saxmundham is one of the best, if thats the case then I dread to think what the others are like! One very cheesed off and unhappy bunny, such a shame as the Sales team here have been excellent.